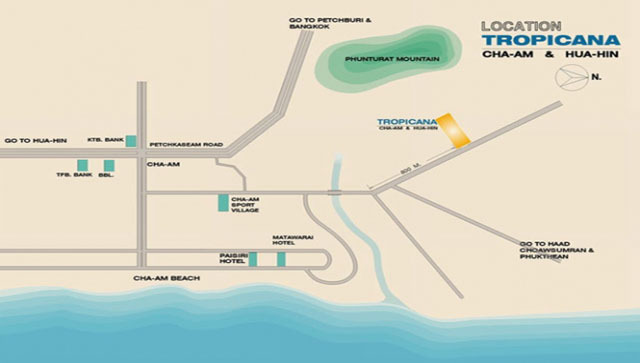 Sense the luxurious Thai resort surrounded by wonderful nature and enjoy the freshness of beautiful garden in your house is Tropicana Cha-am. This project is designed for ones who love in serenity, simplicity and mountain view. There are 3 types of home. Unit sizes range from 224 sq.m. to 1,540 sq.m. You can select your favorite land and choose your favorite home type since we made-to-order. Moreover, you may adjust your home to your own style to achieve your desired fit and appearance. Tropicana project also provides clubhouse, communal swimming pool, security guard and housekeeper. Home Size :: 145 SQM. Living Area :: - SQM. 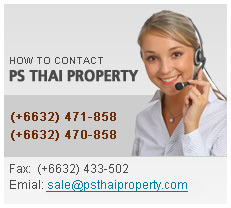 © Copyright 2011 PS THAI PROPERTY Co., Ltd. All Right Reserved. 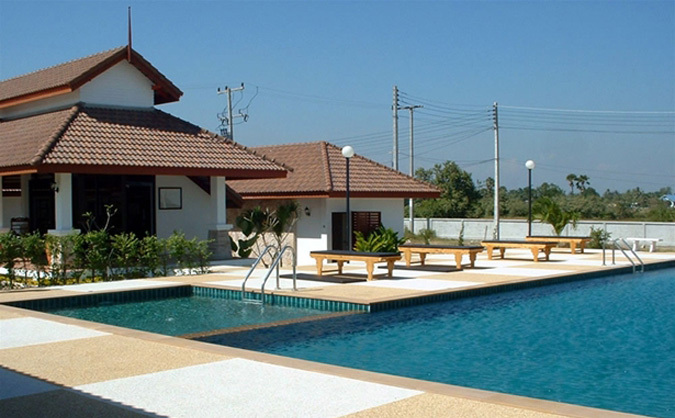 225/46-48 Soi Longbeach, Ruamchit Road, Cha-am, Phetchaburi 76120 Thailand.